Today’s Rowing WOD is a 2k Row. It’s a test of how much pain and glory you can endure over seven to eight minutes. Grab some friends and get after it. This is our second test of the Spring season and will give you an idea of how much you’ve improved since our last test over a month ago. Knowing you 2k time, split, and stroke rating is important. It will allow you to game Rowing WODs in competition, whether it’s Jackie at Regionals, a 2k at the Games, or any other Rowing WOD that pops up at local competitions this summer. Be in the moment, execute your splits, smile, have some fun, breath, and get after it! Post your 2k results to comments! Let us know if you PR! 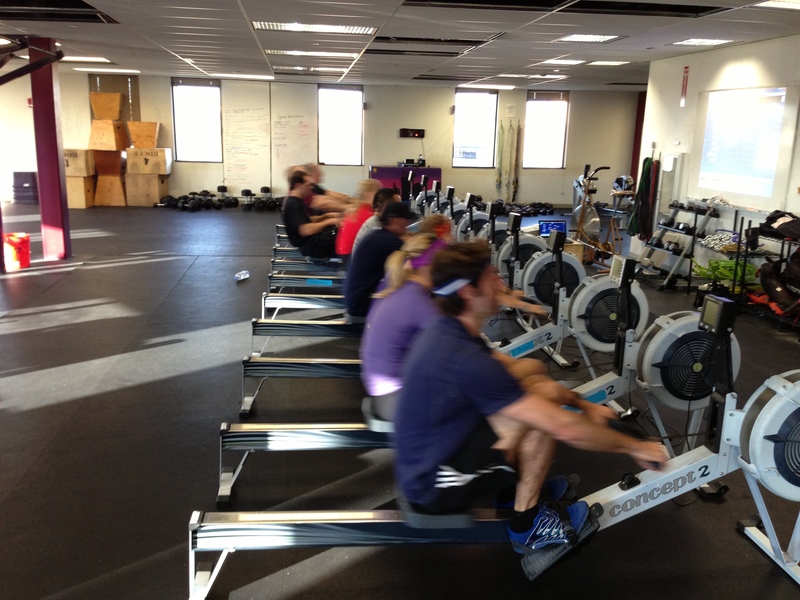 This entry was posted in Motivation, Rowing and tagged endurance sports, functional movements, mental toughness, new sport, row 2k, rowing, sports, training by Renegade Rowing. Bookmark the permalink. Lol. Nice one Mick. In my dreams I don’t average a 1:13 split for even a single 500. That boy’s monitor must be jacked. Cuz something is surely not right. PR’d today. 6:51.9, average split of 1:42.9 and a stroke rating of 34. I felt great though the whole 2,000 meters. Had a great race plan thanks to your training and used it to PR today. Woohoo, sub 7!!! That’s awesome Ryan! Now by feeling good do you mean that you put so much into it that you were wanting to die, puke, or puke then die??? Lol. Sick Ryan! That’s awesome! Well done! Next time you’ll have to push to break 6:50. I like that stroke rate of 34, but keep developing your power in the workouts with lower stroke ratings. It will help give you a little more at that 34.